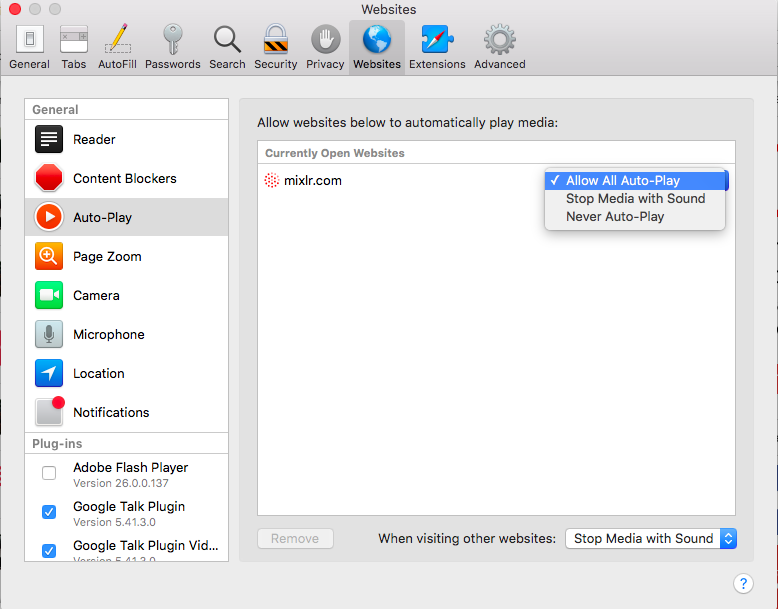 If you browse the web using Safari you may have noticed that Mixlr livepages no longer play audio automatically - you’ll need to click a ‘Play’ button to start listening. This is due to some changes that Apple have made to how Safari works. If you’d like to to update the browser so audio will start automatically you can do so by following the steps below. 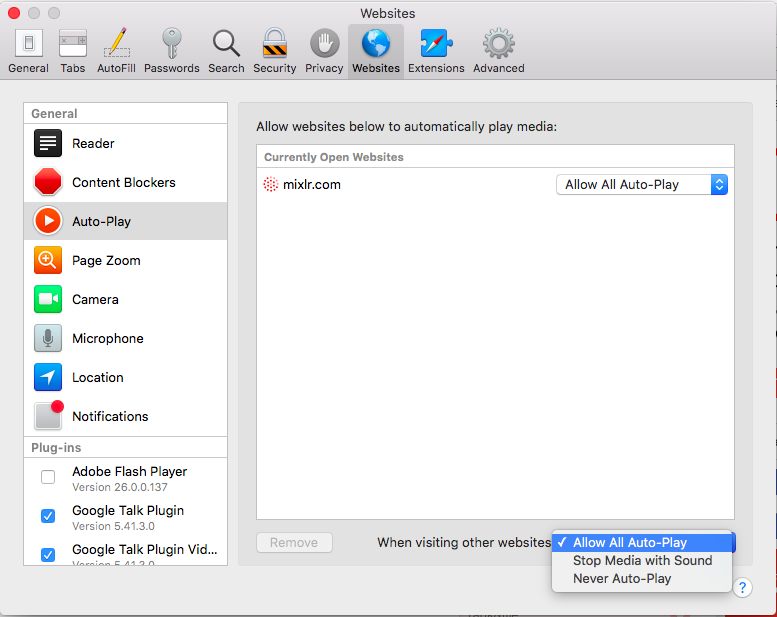 In Safari, go to the Mixlr page that you want to enable for Auto-Play. Click on Safari > Preferences. Click on the Websites icon at the top of the main window. To the right is a section called ‘Allow websites below to automatically play media’. You should see the website you are at listed in the window. Select ‘Allow All Auto-Play’. Once you select this the website will be added to a section called Configured Websites. If you want to adjust the settings for another website, you will see that section, along with a section called Currently Open Websites. At the bottom of the window is a setting called ‘When visiting other websites’. This will tell Safari what to do when you visit a website not on your list of configured websites. You have the same three options as shown above, and selecting ‘Allow All Auto-Play will mean that audio and videos will play on any site without you needing to click ‘Play’. When you are done, close the window. If you want to change these settings in future you can open Safari > Preferences and update this whenever you like.